Health Guide / Why is it important to vaccinate my baby? Why is it important to vaccinate my baby? There are a lot of myths that surround vaccines. So much information available at our fingertips can cause fear and confusion. However, doctors and health experts, such as the CDC and the American Academy of Pediatrics, suggest that vaccines are safe and highly important. Immunization protects our children from serious illnesses that can lead to death. They are so efficient that their implementation has led to a dramatic decline in the emergence of infections. They work by creating immunity against various diseases; saving lives in this generation and the ones to come. Therefore, if parents don’t vaccinate their children, they can cause a disease outbreak that could have been easily prevented. Likewise, children who aren’t vaccinated can transmit diseases to other children who are too young to be vaccinated, to elderly people, or to those with weak immune systems. 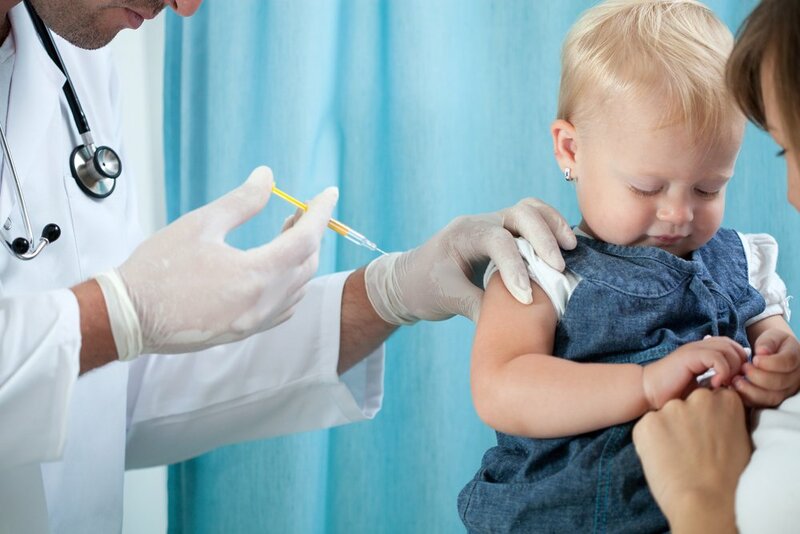 Vaccinating your child will help strengthen his immune system and protect him against diseases such as: tetanus, whooping cough, rubella, hepatitis B, polio, and others. Thanks to vaccines, these diseases are now rare. Most are no longer longer known, even though they caused epidemics in the past. Furthermore, vaccines save you money as treating a preventable disease is very costly and, if we avoid vaccination, diseases can reemerge and affect many people. Many parents have doubts about the side effects that may occur after vaccinating their children. They do exist, but they are most commonly mild such as: fever or pain around affected area. There is a possibility of developing more serious side effects but they are extremely rare. Now, despite side effects, illnesses are always worse than the collateral effects that vaccines bring. Therefore, we must not be afraid of them and we must be very conscious about what the media informs about the myths that surround vaccines. “Illnesses are always worse than the collateral effects that vaccines bring.” This is not always true, actually its almost never true. Not sure why vaccines have anything to do with the development of a child. Please stop trying to scare parents into vaccinations and stick to what you are here for. I’m sorry to get back to you just now. At Kinedu, together with the AAP, CDC, WHO, and many more respected institutions, we believe that vaccination is the best way to prevent severe, deadly diseases. Even though we can’t state that vaccines are 100% safe (you can’t state that even for aspirin) we know that the risks that come with vaccine-preventable diseases are far worse and by not administering them, you not only risk your child’s livelihood but other children’s as well. At Kinedu we aim to promote the health of every child, we’re sorry if our way of doing so is not according to your beliefs in this area but hopefully, you’ll be able to look past it and still enjoy our activities and other features.